Searching for the car tent that will surely meet your unique need in the summer, winter, spring or even autumn? Are you looking for the best car ten that will guarantee you absolute protection for your car against bird droppings, acid rain, and dust and even serve as a good tent for camping and beach event? If these are what you are looking for, the Lanmodo car tent is the best choice you need to make. It is designed in a special and perfect manner to ensure it meets the needs of all users irrespective the time of the year. There are lots of reasons why Lanmodo car tent cover is just the best you need choose at any time and you will find out about that through the content of this post. There are lots of things to consider when you want to choose the best Lanmodo tent cover for car. You are to consider the functionality of the tent cover designed for car whether it is automatic or manual. The ones built with manual functionality usually take lots of time for installation. Also, the manual car cover is not easy to install and does require attention of more than one person. But, the case of automatic car cover as it is built to be installed with a touch on a button. Lanmodo car cover is a typical example of the automatic car cover you need to consider using. It is built with all the things you need to ensure property protection for your car at any point in time. 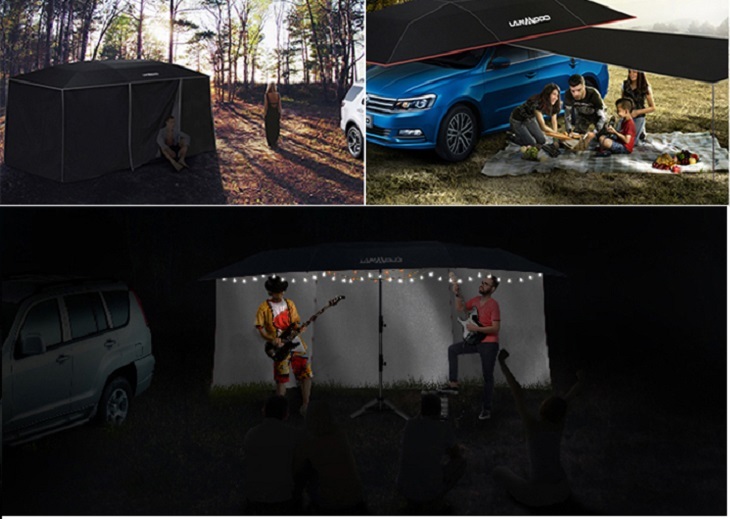 Apart from the fact that Lanmodo car tent is built with automatic functionality, it is also designed and perfectly built in such a way that users will enjoy ease of use experience. Installation of this car tent cover is easy and extremely simple. In fact, you can learn how to install and remove the car cover without need for professional guide. It is built with easy to install and remove with the help of a remote control. Another thing you should know about this car cover is that it is loaded with tech improved functionalities making it even more fun to use than ever. No matter the season of the year or the weather condition at any particular time you will still be able to make use of this greatly car cover for perfect protection. Your car will be completely be protected from the heat of the sun in the summer, from ice fall in the winter, from rain and acid rain and others. Truly, you are going to enjoy all round protection for your car when you make use of this well designed technologically improved Lanmodo tent cover for car. More car manufacturing firm are reducing the overall weight of their car in order enhance the performance of the car and reduce fuel consumption. So, you are not to add more to the original weight of your car if you want to still enjoy the performance. That is the reason this wonder car cover is built with lightweight material. You can even carry it around without feeling discomfort due to the weightlessness of the car tent. Also, it is built with great portability making it easy to carry in the trunk of your car when not in use. You can also carry it along while going for outdoor event like beach or camping without being burdened with overweight. 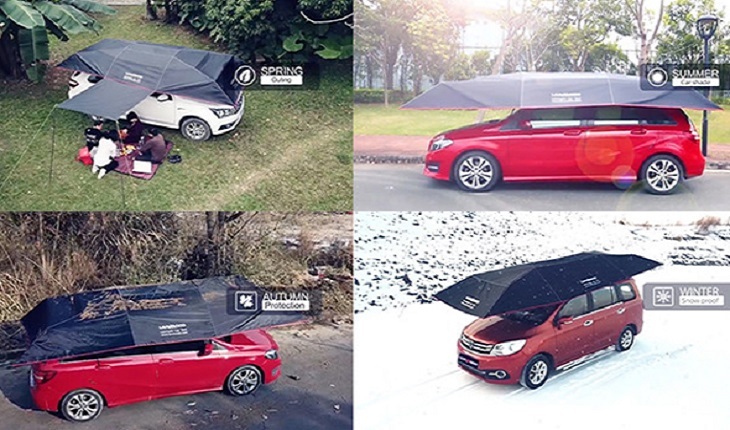 The Lanmodo car cover is built with multipurpose functionality. It is used as a sunshade while on the go on a sunny road. It is also built to be used as a camping tent or beach tent. That made it the best option you need to make when you want to choose best car cover. Another great thing about this car tent is that it is offered at affordable rate despite the quality and great function it is made of.